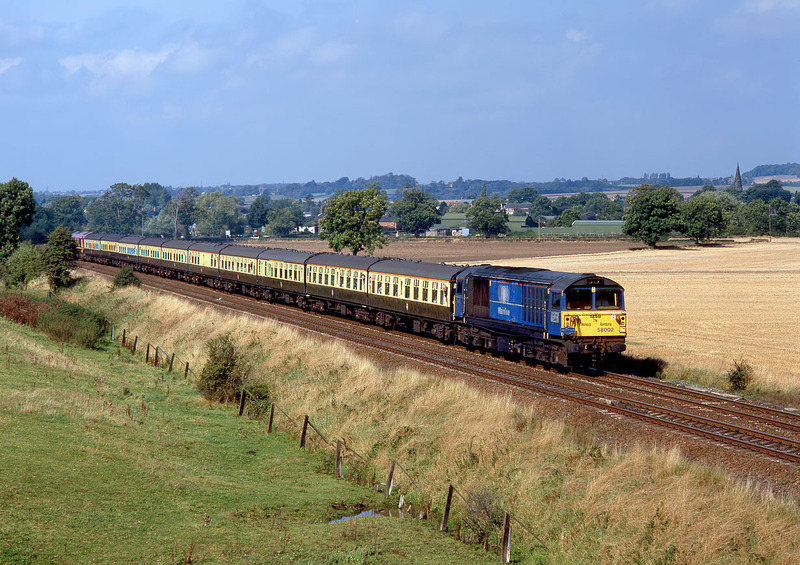 58002 Daw Mill Colliery passes Breaston (between Derby and Nottingham) with the Pathfinder Tours 06:26 Preston to Deepcar 'Calder Revolver' railtour on 23 September 2000. At this point in its itinerary it is running as 1Z58 (between Derby and Bradford Interchange), so the painted headcode on the front of the loco is correct, although the 'Worksop Aberdonian' wording from three years previously is not! 66008 is hiding in the bushes on the rear of the train.